Viola Pitts (September 8, 1914 April 15, 2004) was the legendary Fort Worth community activist who advocated for her neighborhood of Como, located on Fort Worth's west side. 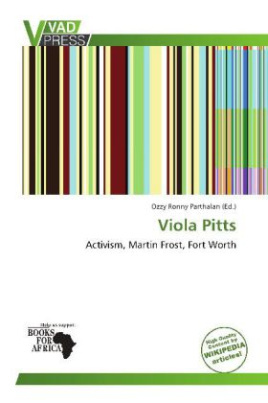 Pitts was often described as a fiery and effective activist. Also known as "the unofficial mayor of Como" she helped Como receive better funding for the Como community center, elementary school, and streets in Como. In 2000 she was honored when an outlying hospital clinic was renamed to JPS Health Center - Viola M. Pitts/Como. When she died she received a letter of tribute from Bill Clinton and a commendation on the house floor from congressman Martin Frost.